The Ordinary Life of an Extraordinary Girl: What the heck is coarctation of the aorta? What the heck is coarctation of the aorta? 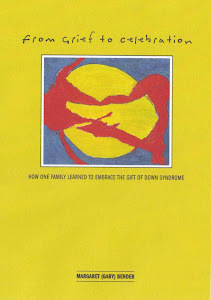 Many children with down syndrome are born with very serious health issues. Some require surgery soon after birth, some as toddlers and even a few as adults. Thankfully, due to modern medicine, and the trail blazing of parents before us, these surgeries can be performed and as of now - paid for by insurance. As I mentioned, Alex was followed by a cardiologist as soon as we knew she had down syndrome. There are a number of technical terms associated with some of the heart issues children can have. I choose to forget them - and instead use lay man's terms. The most common heart problem for kids with down syndrome is a hole in the heart. Sometimes this will correct itself and sometimes it will not. 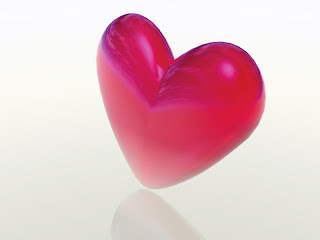 In other cases, the heart is not constructed properly and has three chambers instead of four. 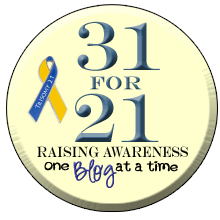 There are also many other non-heart abnormalities associated with this extra chromosome. Alex did and still does have a very slight heart murmur, and we see still a cardiologist on a regular basis. At the time, is was attributed to a very small hole in one of her heart walls. During our 20 month appointment, I described to the doctor Alex's mode of transportation. This involved pulling herself by her arms across the room not using her legs at all. This was very successful on stairs, but was beginning to give me a back ache from constantly stooping over her. The doctor seemed a bit concerned - and did a series of additional tests. The echo cardiogram showed that the aorta - or the major blood vessel carrying blood from the heart to the lower legs had a very narrow portion. This made it difficult to carry the required amount of blood to get the circulation to empower her legs to move. He strongly suggested, insisted, she have an operation to remove the narrow part of the aorta and stitch together the remaining halves - or coarctation of the aorta repair. This was our first major health scare, we have since had two additional scares. Another story, another time. The professionals we had met with before the surgery, were very confident and very knowledgeable. So, as it turned out, neither John nor I were worried about the outcome of the surgery - the scariest part was waiting in the room while the operation was performed. She was taken to the pediatric intensive care unit and I spent the night beside her. I know there are other parents who have been through this experience and the outcome is not always as successful as ours. Once again, I know we are lucky and I am thankful for it. Alex was in the hospital for only three days - but has a scar halfway across her chest to show for it. The surgery involved cutting open her chest from midpoint to midpoint. She wears this scar like a badge of honor. She is happy to show anyone that asks. Not really that attractive for a 16 year old with breasts! As of now her aorta is still functioning well -and we only see the cardiologist every couple of years. At some point, she may need some intervention - and her valve may need to replaced. As I understand it - valve replacements come from pigs. Yuck! Guess we will deal with it when it happens. Alex started crawling within the week - despite the 27 stitches in her chest. The stitches came out ten days later, and her life, and mine, have improved ever since.